Das hab ich schonmal gesehe Moment – I have seen this moment before, and indeed we have. 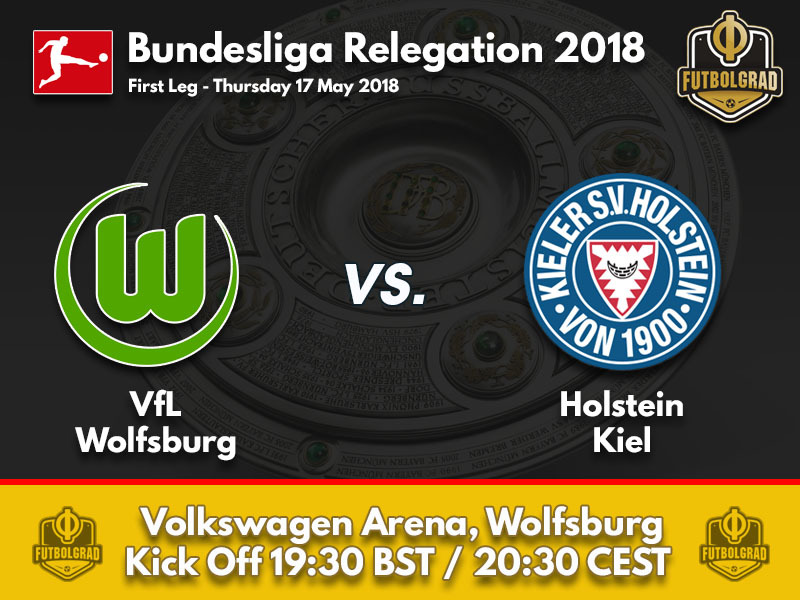 Exactly twelve months on from their last appearance in the Relegation playoff, the side from the Volkswagen arena once again find themselves starring down the barrel of an appearance in Bundesliga 2. This time they are unable to call upon the services of Mario Gomez to lift them out of trouble – but in head coach Bruno Labbadia they have a leader who is used to such a high-pressure environment. Back in 2015 the 52-year-old oversaw Hamburg’s escape against Karlsruher SC, now he must do the same for the side who won the Bundesliga only nine years ago. Top scorer Daniel Didavi is a major doubt for the first leg – sidelined due to an Achilles tendon problem. Yunus Malli could be recalled into the starting XI whilst Liverpool loanee, Divock Origi, should keep his starting position after finally finding the net again after a goalless run of 12 matches. The side from the port city on Germany’s Baltic Coast are gunning for back-to-back promotions. Finishing second in 3.Liga this time last year, they took the second league by storm this season and now face the real possibility of reaching the very top tier in just 180 minutes time. Head coach Markus Anfang is undertaking his last two appearances with the club before he departs to FC Köln in the summer, should he achieve promotion with Die Störche it will be the perfect sign off at the club where he is now much loved. 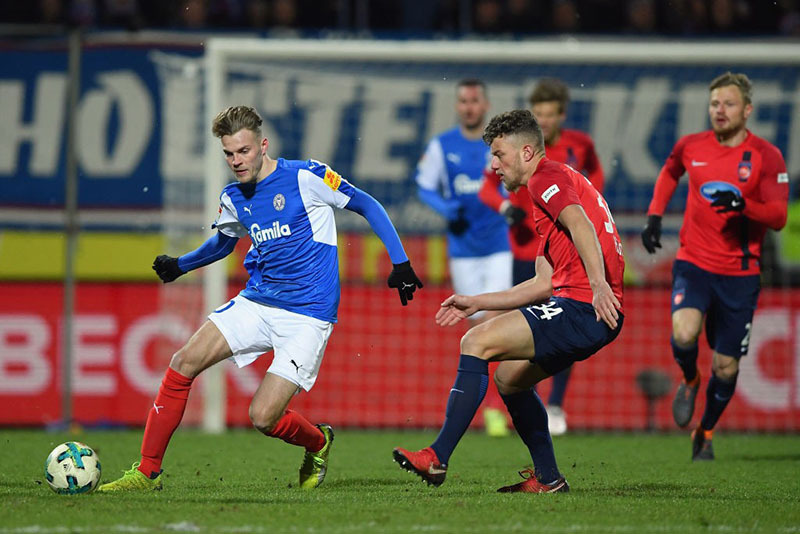 Kiel climbed into the promotion places on Matchday 8 and never looked back, scoring 71 goals they were the highest scorers in the league – whilst they only lost six of their 34 encounters, a remarkable stat for the newly promoted team. It would be the culmination of the last two years hard work if we could achieve it. I would wish that for this team, this club and this region. It would be something very special, something historic, and it is possible – We will do everything we can to make it happen. The Liverpool forward has had an out of sorts season so far but a good display – in what might be his final two games for Wolfsburg – could see him remembered fondly. Originally joining under the stewardship of Andries Jonker, the Belgian is now under his third coach – something he nor Liverpool expected, it could go some way to identify his rollercoaster performance at the Volkswagen Arena. With top scorer Daniel Didavi doubtful the hosts will look to the 23-year-old to fire the goals needed to survive this late-season test. His goal on the final Matchday against 1.FC Köln his first since Matchday 21’s opener against VfB Stuttgart. The 24-year-old has amassed a wonderful goal and assist tally this season, finding the net 19 times in the 35 games he’s played he has also assisted on another 12 – not a bad return for the Dortmund academy graduate. His forward play has seen him involved in almost 40% of Kiel’s total goals in this season’s 2. Bundesliga. Good in the air – and with the ball at his feet inside the 18-yard box – Thursday’s hosts will have to be defensively solid if they wish to neutralise his goal threat. However, restricting him to shots from outside the box will only play into his hands. He is exceptionally adept at scoring from range and from set piece opportunities – it could be a long for 180 minutes for Wolfsburg if Ducksch is on his game. 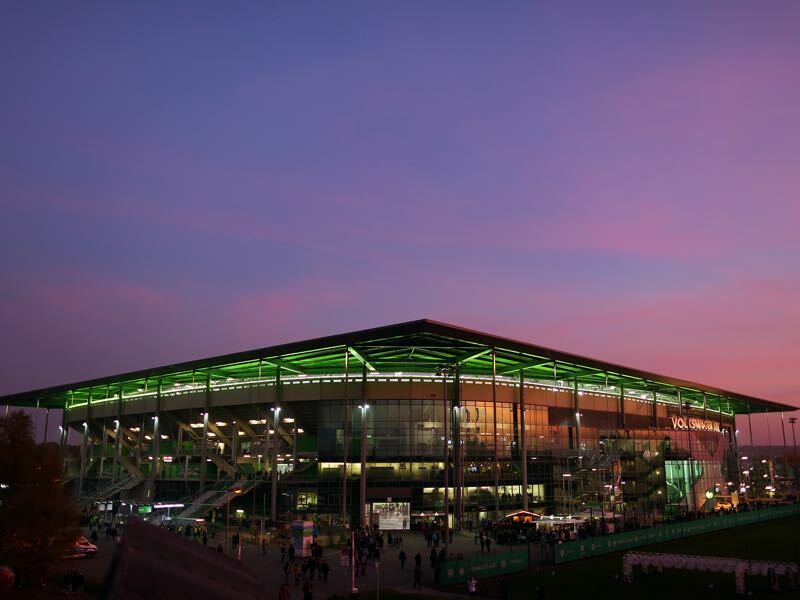 The Futbolgrad Live Network will be LIVE at the Volkswagen Arena for the forst leg of the Relegation 2018 tie. Match coverage begins at 19;15BST / 20:15CEST on fussballstadt.com and all the build-up ahead of a fascinating fixture can be found via the FutbolgradLive Twitter account.